Insomnia can be of three types: transient, transient and chronic. Transient insomnia is caused by an unfavorable situation and as the situation improves, insomnia itself disappears. Situations can be associated with domestic problems, such as moving, exams, job changes. Or with mild health problems like a cold, toothache, etc. Transient insomnia is so called, because it comes with temporary problems, for a short time and also leaves with them. Without leaving a trace and memory of his visit. A person safely pops out, missing hours and just as safely forgets what insomnia is. It does not require medical intervention and the use of any form of medication. Short-term insomnia lasts from several nights per month and arises already in connection with some more serious stress, mental trauma, and other physical diseases. The reason may be emotional trauma, for example, related to a loved one - death, quarrel. Either with exacerbation of a chronic disease of any kind, such as colitis, ulcers, etc. Since both emotional trauma and chronic disease pass with time, this insomnia is easily cured. You can use both sleeping pills and folk remedies. Whom to like. Chronic insomnia lasts at least three nights a week and lasts for a month or more. As a rule, it is associated with serious physical or mental illnesses, such as asthma, oncology, Parkinson's disease, tuberculosis, schizophrenia, and the like. It can also be triggered by the abuse of alcohol, drugs, tranquilizers. In such a situation, without an experienced specialist, and even not one can not do. It is necessary to develop a specific course of treatment inherent only to your body and according to the progressive disease in it. In general, you and your treating doctors will have a long and hard work. It is believed that there is a certain structure in the human brain - a reticular formation that supports the nervous system in a waking state. There are cases when the reticular formation does not cancel its stimulating influence, it is from this that insomnia arises. Unfortunately, up to now the nature, nature of insomnia has not been revealed. 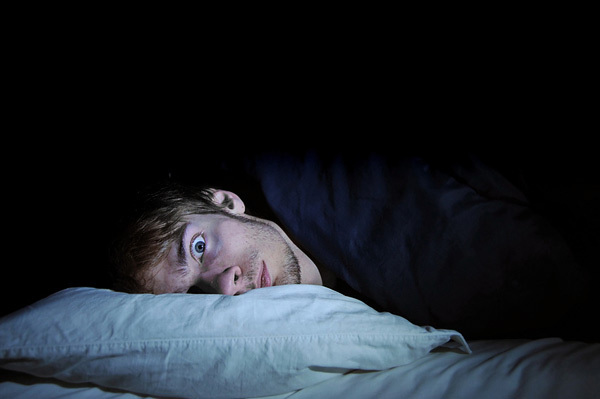 It is impossible to establish clearly what insomnia is - a symptom of any disease, or the disease itself, but it can be accurately determined that insomnia has a connection with a mental or somatic disease. Typically, insomnia appears at the initial stage of the disease, as if giving us to understand that you should pay attention to your health. But it can develop on a par with the disease, exacerbating its nature and current. With absolute certainty it can be said that the main cause of insomnia, as a mental illness, is stress. Basically, the stressful situations that we received during the past day. Throughout the day, a person is in tension, both physical and mental. Somewhere the boss will offend. Somewhere a subordinate nahamit. Somewhere the work does not go well. In general, we encounter stressful situations at every step. We react to them appropriately - we swear we are going through it, and again we swear. Situations succeed each other. We forget about one, pouring into the next, etc. And at this time, the subconscious mind, like a hard drive of a computer, records every moment of what is happening. Here, only writes to the RAM, which lies on the surface of our consciousness. And so, after work, you come home, have dinner, watch TV, talk with your family, that is, your mind takes and processes information all this time. And, as soon as you lay down in bed, silence reigned in the room. And then your consciousness begins to give you those stressful situations that occurred during the day. You begin to experience them again. Consider how it was necessary to act, what not to do. About myself, someone to scold. And all insomnia is guaranteed to you. It happens that a person is so busy at work that he simply does not have enough time to think about plans for the next day. And, half a night he puzzles, building a scheme of action. As a result - being late for work, lethargy and drowsiness. That is, a decrease in efficiency. Such people can be advised to remember a beautiful proverb - the morning is wiser than the evening! Do you spend most of your time sitting? The body needs movement. The body must get tired of the day's work, and in the evening demand rest. But, it happens, there are days when you are fatally tired, but sleep does not come. In this case, the cause is an increased nervous tension. Everyday worries, accumulated problems are crushed by a lot of weight, not allowing to relax, not for a moment. The more you experience, the worse for sleep. That is, it turns out a vicious circle. On the one hand, the body should receive a load to demand rest, and on the other hand, if the fatigue is strong, a person can not fall asleep. In fact, there is no closed circle in this situation. You just need to find the golden mean everywhere. The daily load should be moderate, and with a nervous strain it is necessary to learn how to fight and win. Another important cause of insomnia is malnutrition. It is not necessary, at least an hour before going to bed to take any food, and even more so to drink strong tea or coffee, as we have done. There are a number of side-effects, such as: stuffy room, uncomfortable sleeping place, extraneous noise. The reason can be quite trivial! Just your body needs less time for rest than you offer it.